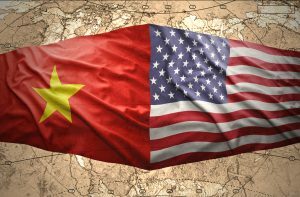 Vietnam is emerging as the winner of the U.S.-China trade war. A new analysis by the American Chamber of Commerce in South China shows companies in China and the U.S. are losing market share, especially to companies from Vietnam, as a result of the trade war. Companies in China also report they are losing sales to companies from India, the U.S. and South Korea. For U.S. companies, the next rivals taking market share are Germany and Japan. The tariff situation could get worse if the Trump administration moves ahead with more tariffs in December against China, pending the outcome of talks at the G20 summit. U.S. soybean farmers are feeling the brunt of the trade war as China has steep tariffs on U.S. soybeans, and other agricultural products. President Trump said last week that the effort would take time, indicating no immediate end to the action.